With the GCC having some of the most active online users across the globe, Mullaney, who advises Fortune 500 CEOs and other senior executives on critical communications issues and how to use Facebook and Instagram as leadership and communications channels, says CEOs "should be thinking of digital as a leadership platform". 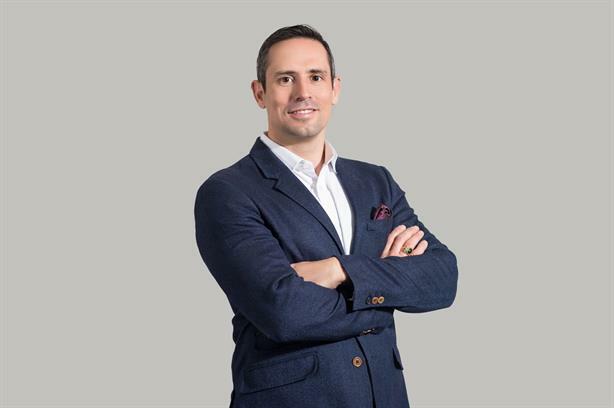 "CEOs in the region have a unique opportunity to tap into an unusually active online audience," said Washington-based Mullaney, speaking to PRWeek Middle East ahead of a talk in the UAE. "For example, we know that Saudi Arabia has the highest annual growth rate of social media users globally at 32 per cent (the global average is 13 per cent), and that the UAE has a 99 per cent internet penetration rate. "CEOs can connect with their most critical audiences anytime, anywhere. It is crucial that executives in the region understand that having a direct line of communication with their stakeholders will allow them to advance their business goals, communicate through critical moments, and create authentic connections with the people who matter most to their business." Mullaney said CEOs in the GCC need to realise that it is no longer enough to just have a corporate social media presence and that digital strategy is about business objectives, not having the most followers online. "It’s about being a connected leader no matter where your audiences are. How can we ask employees, investors or consumers to trust a company if its leadership avoid relevant industry discussions? "Compared to pioneering markets like the US and Europe, the GCC opportunity is largely untapped and there is massive potential for executives to stand out as truly connected leaders." Mullaney said there are two critical lessons he derived from advising several hundred global public figures. The first is that strategy must precede tactics. He explained: "As with any other initiative, leaders and their teams need to begin by articulating their business objectives and specific leadership platform. You need a plan before a profile. You have to put the thought into thought leadership. "Second, authenticity is critical to digital success. Connected leaders begin with humanity where people can see, hear, and almost feel their motivation, purpose, and personal voice come through." Mullaney, an American army veteran and author of 'The Unforgiving Minute: A Soldier's Education’, last year joined Brunswick Group as a partner to advise CEOs on digital strategy, CEOs, boards, and other leaders on digital and social media strategies. "Executives have an opportunity and obligation to become truly connected leaders through digital platforms," explained Mullaney. "Employees, the public, and investors have shifted their attention to digital platforms, but business leaders are behind. "We now see impactful examples of connected leaders in every sector and market leveraging these platforms to attract and engage talent, develop a direct relationship with customers, inform investors, and build trust with communities." Before joining Facebook in 2013, Mullaney was senior vice president of content, operations and strategy for live video streaming platform Ustream, Inc (acquired by IBM in 2016). During the Obama Administration, Mullaney served as a senior advisor at the U.S. Agency for International Development (USAID), where he helped to launch the Office of Innovation and Development Alliances, and at the Pentagon.